I listened to most of this on my walk to PT today(golfer’s elbow) and now I need to look in a bit more. The portion talking about movement and joints under stress and regeneration made me think about the book: The 3 Boxes of Life and How to Get Out of Them – which is a companion to What Color is Your Parachute. It deals with how we have a Play Box, an Education Box, and a Work Box and at different phases we seem to be stuck in a single box. When we live in the play box we are growing, pliable and generally healthy. As we move into education we start to get more sitting, but that work box…it gets us. If you can bring the balance back: play time for all, We keep using that range of motion and regenerating…it is the best way to stay young. Nice illustration, Thomas. I need to reread those books. Regeneration is not talked about as much as it can be because I believe it provides an important perspective. The concept hit me between the eyes when I was deep into my nutrition studies and realized that our body’s structure is built solely from the food we eat. Feed it junk i.e. just like using subpar materials in a building, and your body will be weak and not perform to potential. Let’s talk about that elbow and how FRC can help it. Okay? Just listened to your interview on 18Strong. Wow, your explanations of the hamstring ‘stretch’ and the CARS were both outstanding. Did you or Jeff post the routine you put him through? It’s OK either way. I thought he said one of you was posting it after the interview. I’ll remind Jeff about the video. Thanks for catching that. The video is deceiving because I am not sure you can hear the cues of where to contract and where to push, etc. I can teach you CARS as well as specific FRC strength exercises to improve areas that need it. Thank you for listening to the PODCAST, Dana. I listened to the podcast last night and found it very informative. I am 67 and live in rural NE Texas where resources are somewhat slim. I recently went to the Dallas area and got an assessment from a TPI certified instructor. He obviously found some deficiencies and emailed some exercises for me to do. That was 3 months ago. I am still very stiff and suppose I need to go back and get a follow-up assessment. It is just hard to do from a distance of 100 miles. Any recommendations would be appreciated. Thanks. That’s great that you got evaluated. It sounds like you could use an update on your program and could benefit from a trainer working with you. Perhaps if could do a session over FaceTime. 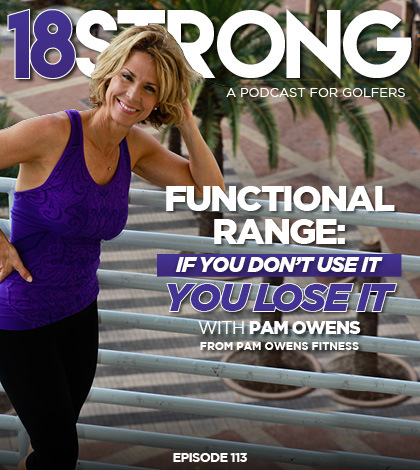 I can teach you CARs as discussed in the podcast and look at your current TPI program. I will send you an email.